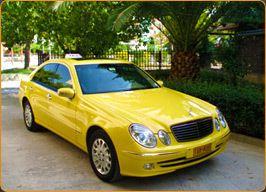 Athens - Taxi - Transfers are specialists in transfer services, 24 hours a day, 7 days a week, 365 days a year. Priding ourselves on customer satisfaction, Athens - Taxi - Transfers provide safe, fast, reliable and comfortable transfer services for both leisure and business travelers alike. Our fleet consists of luxurious Mercedes A/C taxis fully equipped. All of our drivers are well dressed, backed up by their years of experience combined with their local knowledge of Athens and its mainland. Our professional drivers will "Meet & Greet" you upon your arrival in Athens at any desired location from Athens International Airport, cruise/ferry ports, bus/train terminals to your hotel or required destination of stay. We will assist you with your luggage and ensure that you have an effortless journey to your final destination in comfort and style. 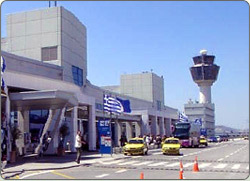 All arrivals into Athens are carefully checked and monitored in the case of early arrival or delay. 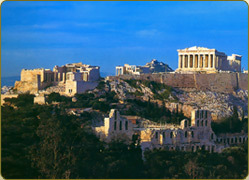 Athens - Taxi - Transfers guarantee that we will be there before you are! No matter the length of your stay in Athens, Athens - Taxi - Transfers are able to arrange Private Tours to all the major historical and cultural sightseeing attractions within Athens and its mainland. Enjoy some of the most memorable moments that Athens has to offer with a variety of Private Tours ranging from Half Day to Full Day Tours. For those leisure travelers looking for a more elaborate type of tour, Athens - Taxi - Transfers, are able to arrange a Professional Licensed Guide (in your specified language) to accompany you. Private tours can be booked online with only 24 hours notice. Avoid overcrowded motor coaches book yourself a luxury private tour. The tours listed are only a few suggestions, we can arrange tours to your personal interest, all our tours are flexible and can be adjusted to your needs. Pre-booked private transfers can be arranged with only a 24 hour notice. Take the hassle out of having to be somewhere on time, by arranging a private transfer in advance. Private transfers can be organized to take you to the airport, your Cruise/Ferry Terminal or any other destination at a time convenient to you. 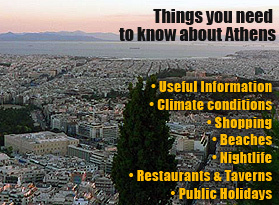 Athens - Taxi - Transfers understand the importance of travelers visiting Athens on business or corporate matters. Employing the professional services of Athens - Taxi - Transfers will ensure that you will never be late for any meeting, lunch, dinner or private appointment. "My driver in Greece, George; A perfect gentleman with a comfortable and clean car. Highly, highly professional. Always on time and easy to find."